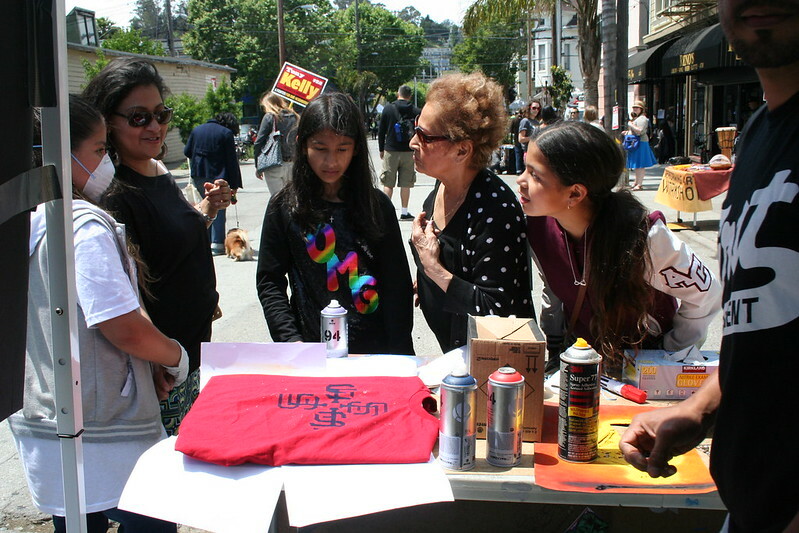 Home/Classes, Community, Events, Uncategorized/Sunday Streets Recap! Last Sunday the 1AM crew dived into Sunday Streets in the Bayview/Dogpatch district of San Francisco. People stopped by our booth to learn about street art culture and check out what else 1AM has to offer, like Individual classes and Team-building workshops. These lucky kids got a chance to play with different types of markers and learn how to spray paint and personalize their own FREE take-home tee shirts! Check out more pictures here! Interested in our workshops and classes? Email classes@1amsf.com for more info!